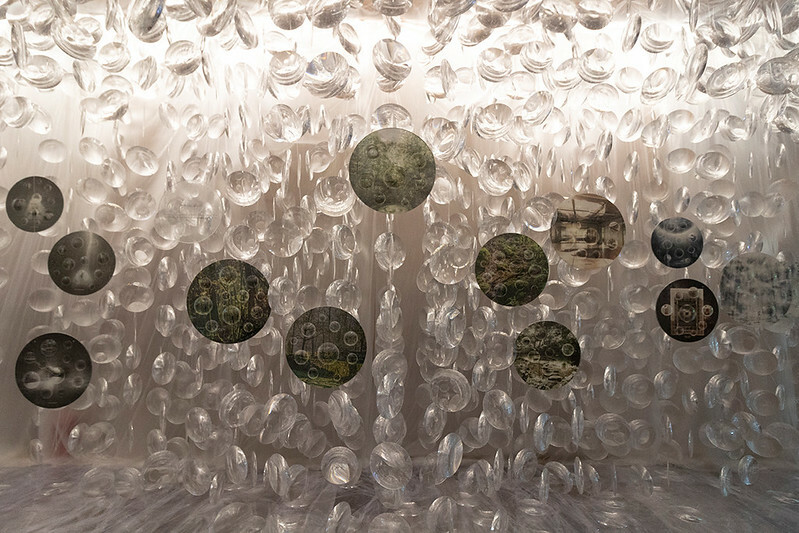 Last month I went to Venice for the Vernissage of the Venice Architecture Biennale. 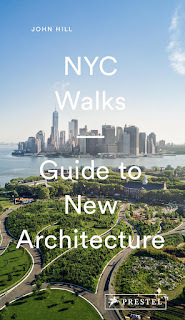 I've been covering it for World-Architects (the output of myself and my fellow editors can be found on the Italian-Architects platform), though below is a smattering of my impressions, mainly of the exhibition and national pavilions but occasionally venturing beyond the Biennale venues. 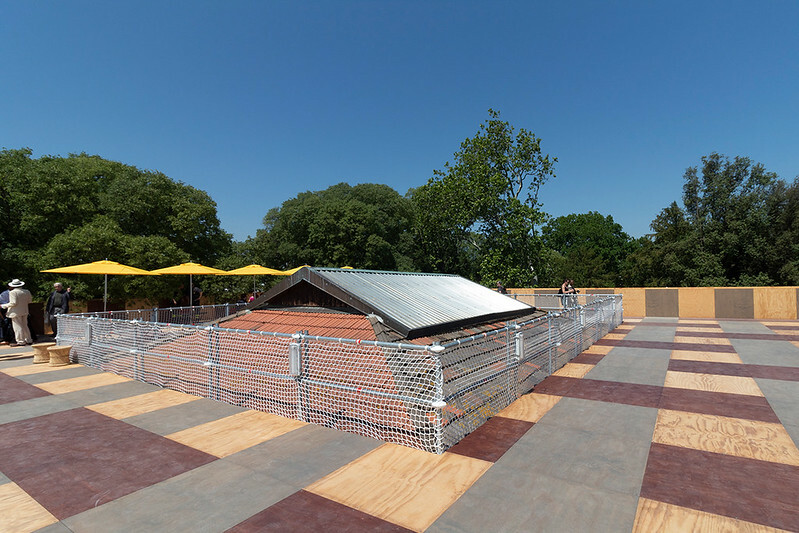 Both national pavilions consisted, in part, of indigenous landscapes transplanted to Venice, Argentina in the Arsenale and Australia in their pavilion in the Giardini. Pictured is the latter, whose plants from around Melbourne were grown in the pavilion from seeds brought to Venice eight months ago. 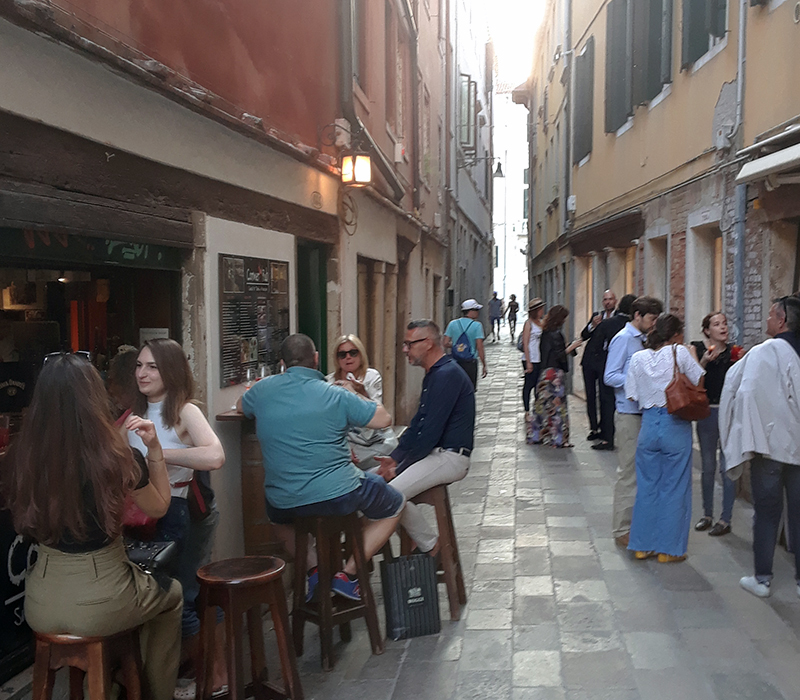 The Biennale Vernissage is full of parties, but give me a relatively quiet bar that spills out onto the street, such as this one near the Peggy Guggenheim Museum, the venue of the US Pavilion's typically packed party, instead. Curators Yvonne Farrell and Shelley McNamara kept the impressive Corderie building at the Arsenale (so named because the Venetian ship builders made ropes inside) open, making it an integral part of the exhibition but also a convenient way to zip through the building and bypass many of the contributions on display. 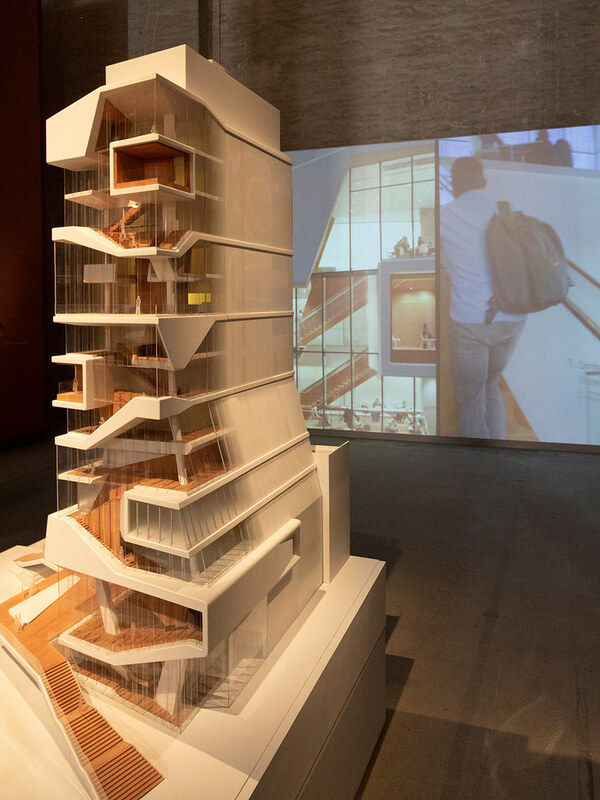 Diller Scofidio + Renfro were found in at least three parts of the Biennale: an entrancing video in the US Pavilion, a small model in the Greece Pavilion, and this model and accompanying video of Columbia's Vagelos Center in the main International Architecture Exhibition. National particapations that responded to the main exhibition's "Freespace" theme (not all did so or necessarily had to) tended to empty their pavilions to provide, well, "free space." 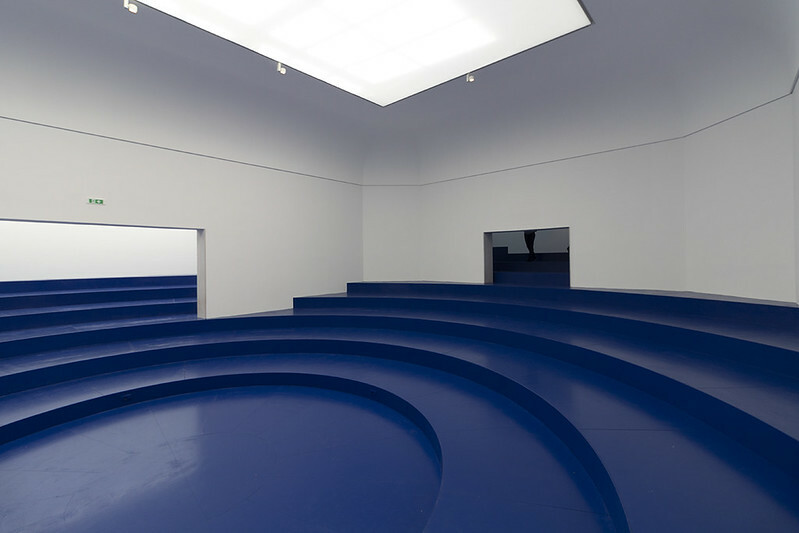 Belgium filled their pavilion with concentric step and gave out books that explained what exactly "Eurotopie" means. 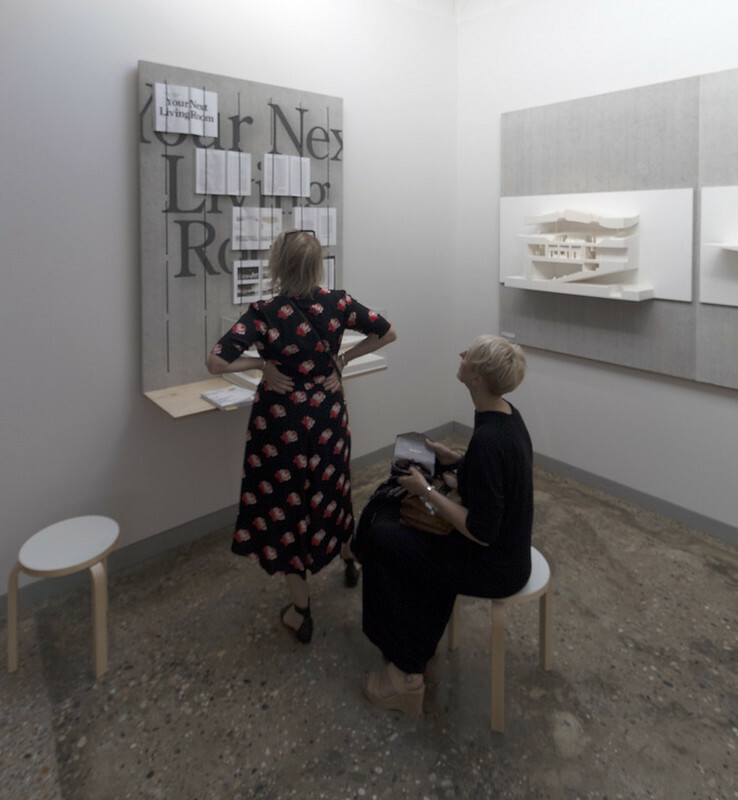 One of the first tasks for architects Yvonne Farrell and Shelley McNamara after they were selected as curators of the 16th International Architecture Exhibition was to develop a manifesto: "FREESPACE," which basically elucidates the unprogrammed spaces the Irish architects create in their own buildings. 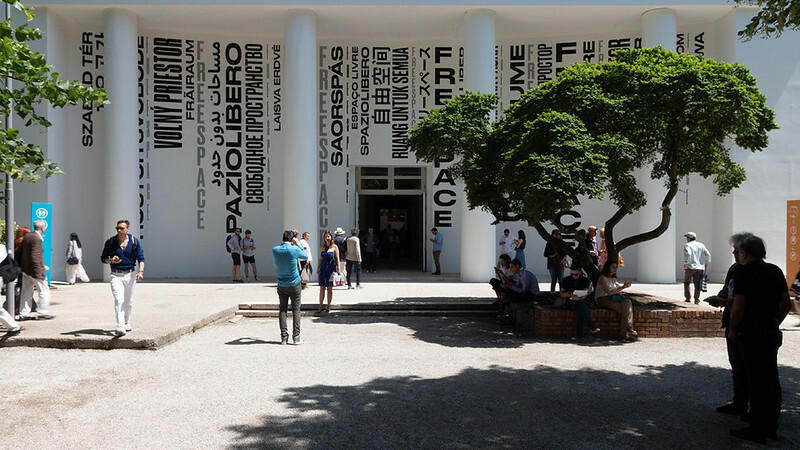 Graphic design for the term translated into various languages peppers the venue, including the entrance to the Central Pavilion pictured here. I can do without a visit to San Marco, probably the most recognizable space in Venice outside the Grand Canal. But even though the vaporetti are slow along the Grand Canal (routes going along the Guidecca Canal, for instance, are quicker and better to take for daily commutes), I can't get enough of the city's main water-thoroughfare. This is the view from the balcony of Palazzo Michiel, an exhibition venue, unfortunately not my hotel. One of the exhibits I was most looking forward to was the V&A's erection of a three-story chunk of the recently demolished Robin Hood Gardens, the housing project by Alison and Peter Smithson. The actual display -- some pieces of the facade, a guardrail from one of the "streets in the sky," and lots of scaffolding -- was a bit of a letdown. 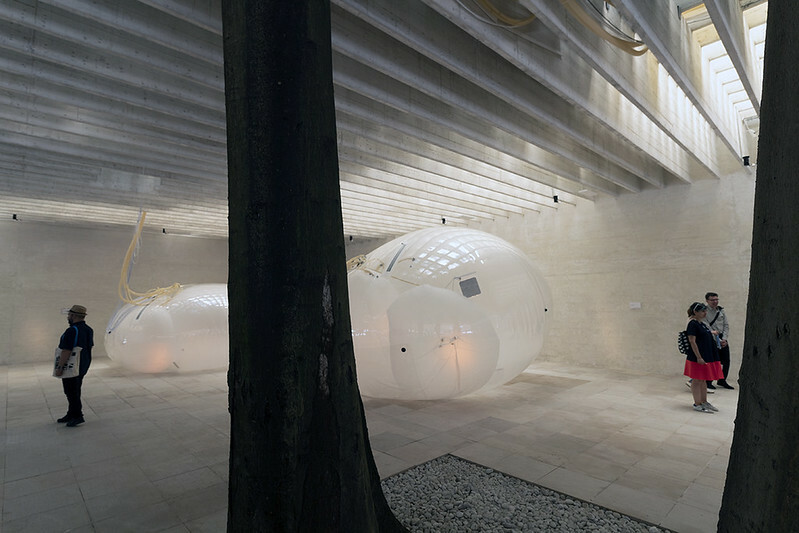 The Nordic Pavilion -- easily the best piece of architecture in the Giardini (it was designed by Sverre Fehn and completed in 1962) and one that seems to ask for the best in curators filling it out -- was taken over by some inflatables. 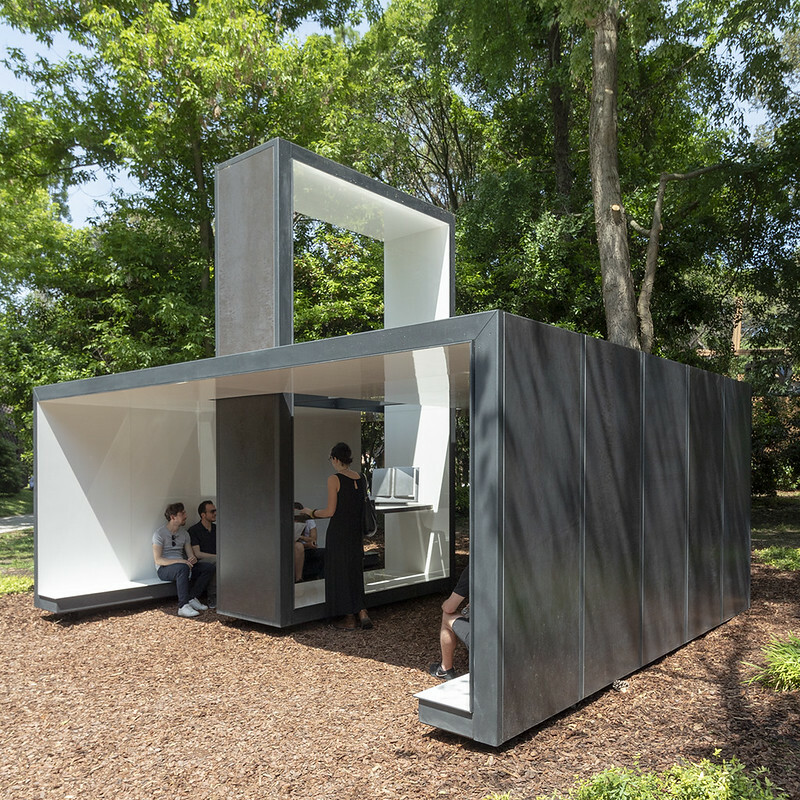 The curators of the Japanese Pavilion, led by Atelier Bow-Wow's Momoyo Kaijima, filled the gallery with 42 drawing projects that ranged from depictions of traditional houses to panoramic countrysides. Viewing aids, such as discs with magnifiers, invite people to linger over the highly detailed drawings. The nearly 90-year-old architectural historian received the Golden Lion for Lifetime Achievement, a deserved honor to say the least. 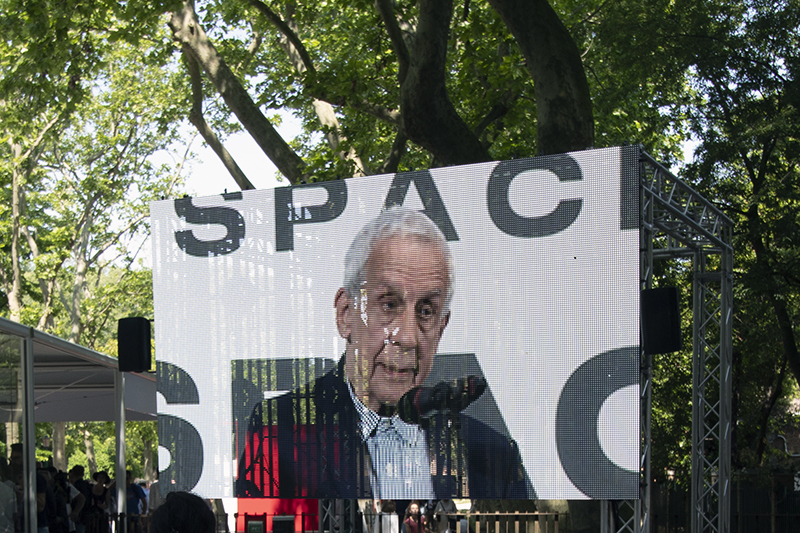 I was in the Giardini when he received the award and when the other Lions were announced, but even from a distance it was great to hear a few of his sincere words of thanks. I'm a sucker for exhibitions about libraries, and at this Biennale they're found in the small Finnish Pavilion. Mind-Building finds -- accurately, in my opinion -- the best "Freespaces" in public libraries, places of knowledge but also truly public places for all to use. Mosquitoes are the bane of my existence on every trip to Venice. 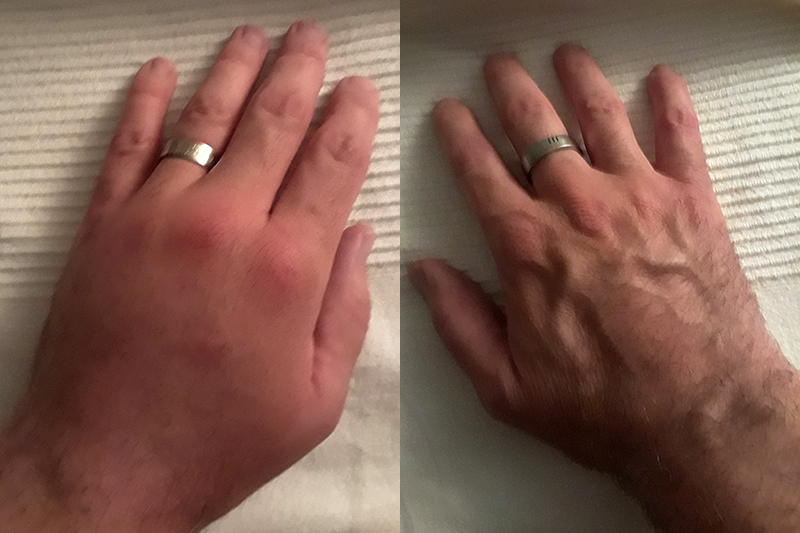 Typically they keep me up at night by buzzing in my ears, but this trip it was just one mosquito bite -- it happened while eating a midday snack in the Giardini -- that did me in: the whole back of my left hand (right hand here for comparison) swelled up for three days. 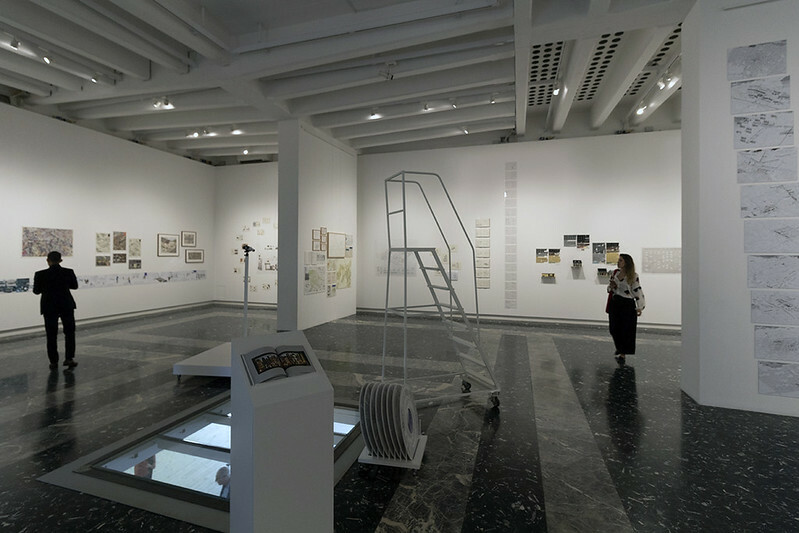 As in previous years, the Biennale is split between the main International Architecture Exhibition, some collateral events, and the national participations, most of the last taking place in pavilions in the Giardini. Pictured is the Canadian Pavilion, which just turned 60 and wrapped up a restoration. 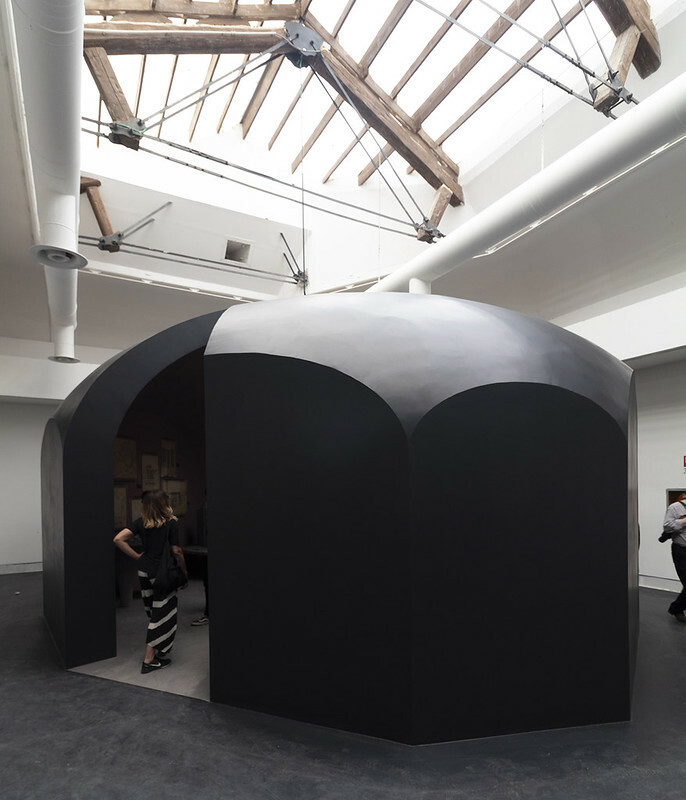 Visitors to the Dutch Pavilion confront a central space that resembles a locker room. Opening the orange lockers reveals cabinets with information inside, openings to other rooms, or doors to access them. It's the most interactive of all the pavilions -- even of the whole Biennale. 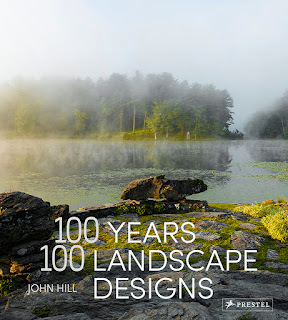 Over at World-Architects I wrote about how three of the four awards were given to displays of large photographs rather than drawings or models. Even before the winners were announced, I noticed how large-scale photos were prevalent in the main exhibition. 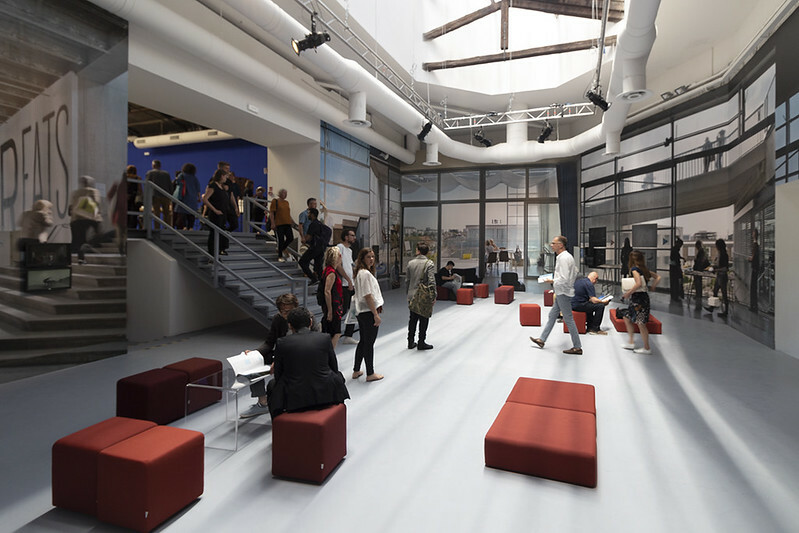 Pictured is a room with Lacaton & Vassal's residential projects in France. 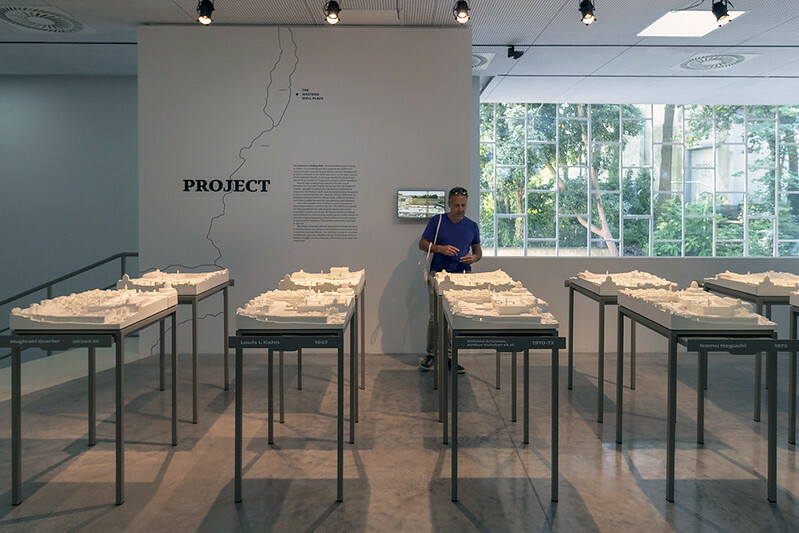 A highlight of Israel's In Statu Quo: Structures of Negotiation is a series of proposals for Jerusalem's Western Wall Plaza, with models and books (in drawers) for designs by Louis Kahn, Isamu Noguchi, Moshe Safdie and others. 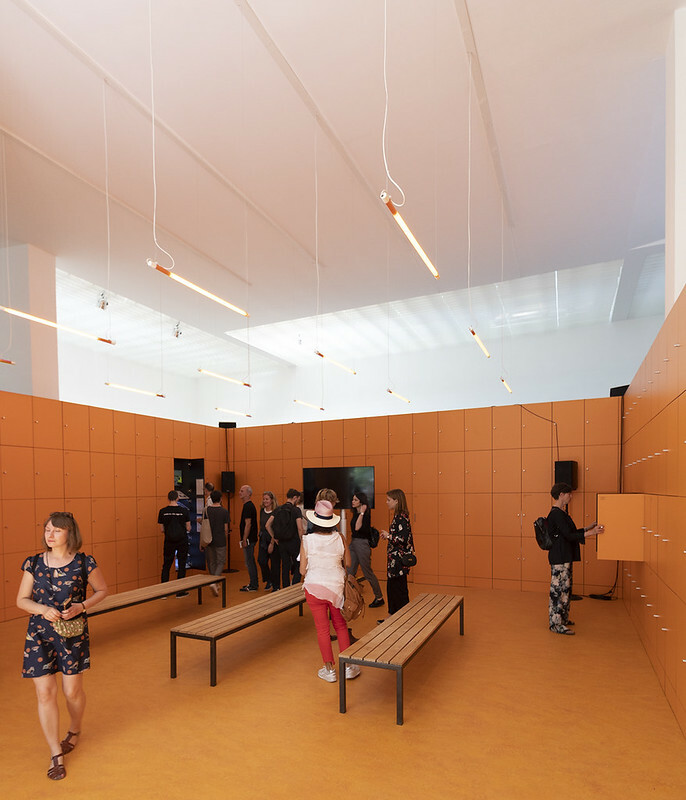 The Catalan Pavilion, a collateral event of the Biennale, presents the thinking of last year's Pritzker Prize winners through an immersive, dreamlike environment. 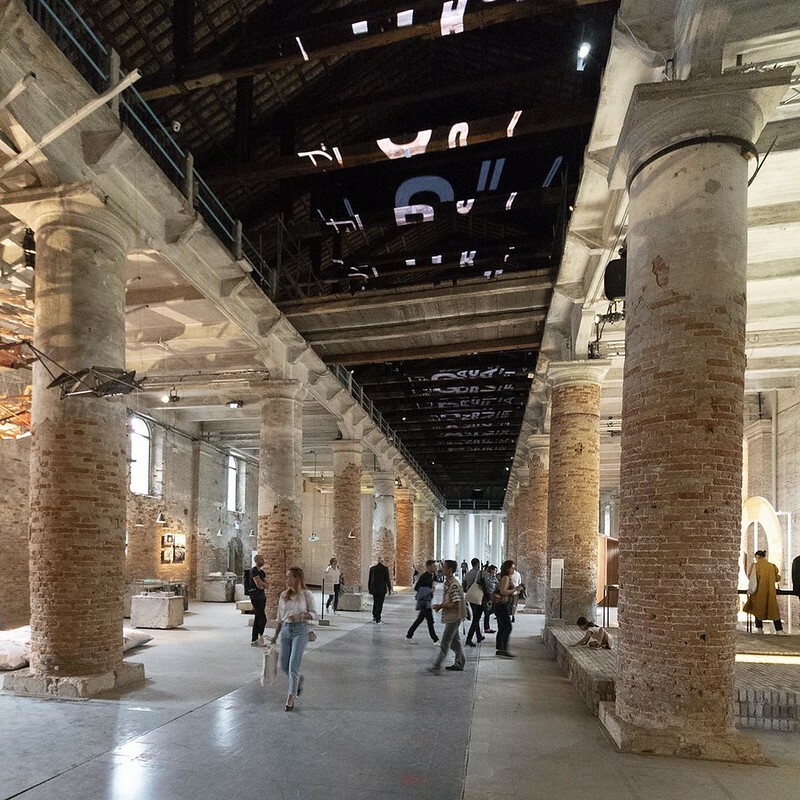 Curators Yvonne Farrell and Shelley McNamara mentioned in their press conference two days before the Biennale opened that they peeled away layers of history to make the skylights in the Central Pavilion an integral part of the exhibition. After that I couldn't help but notice the skylights, their tectonics, and the way participants took advantage of the zenith light. 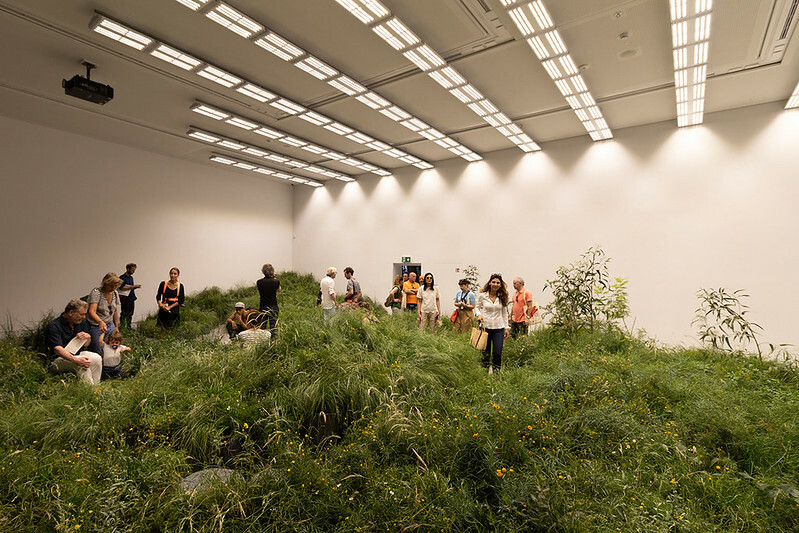 Great Britain received a special mention for emptying its pavilion of any contents to host programs and serve as a "Freespace" for spontaneous events. Outside, they wrapped the pavilion in scaffolding and provided a roof terrace that hosts tea at 4pm every day, weather permitting. Tea in Italy is quite odd, especially on a hot rooftop under yellow umbrellas. The project of the Czech and Slovak Pavilion focuses on Český Krumlov in order to draw attention to the way residents have been displaced by tourists in the historic Czech town since it was named a UNESCO heritage site about 25 years ago. A simple pavilion displays live images of the town, where people are being paid to do "normal" things in the town center during the run of the Biennale. Although site-specific, the project makes a lot of sense in Venice. 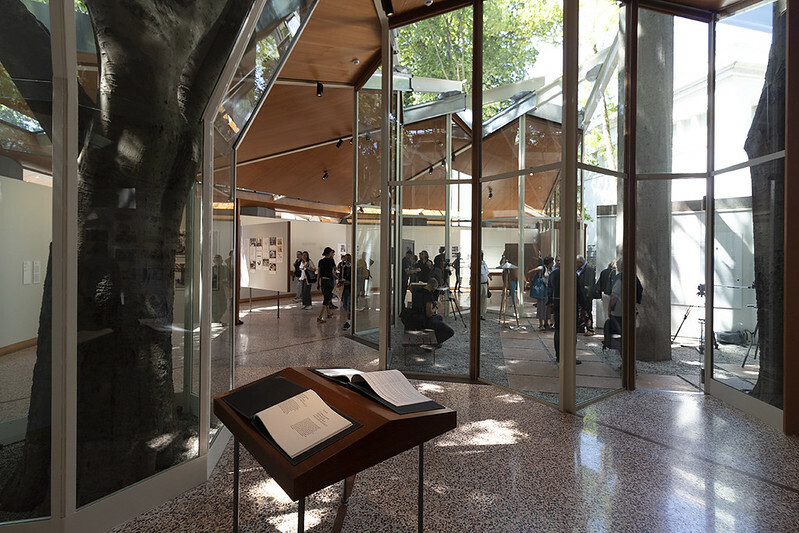 The first Holy See Pavilion at the Venice Architecture Biennale consists of ten chapels and an exhibition pavilion on San Giorgio Maggiore. 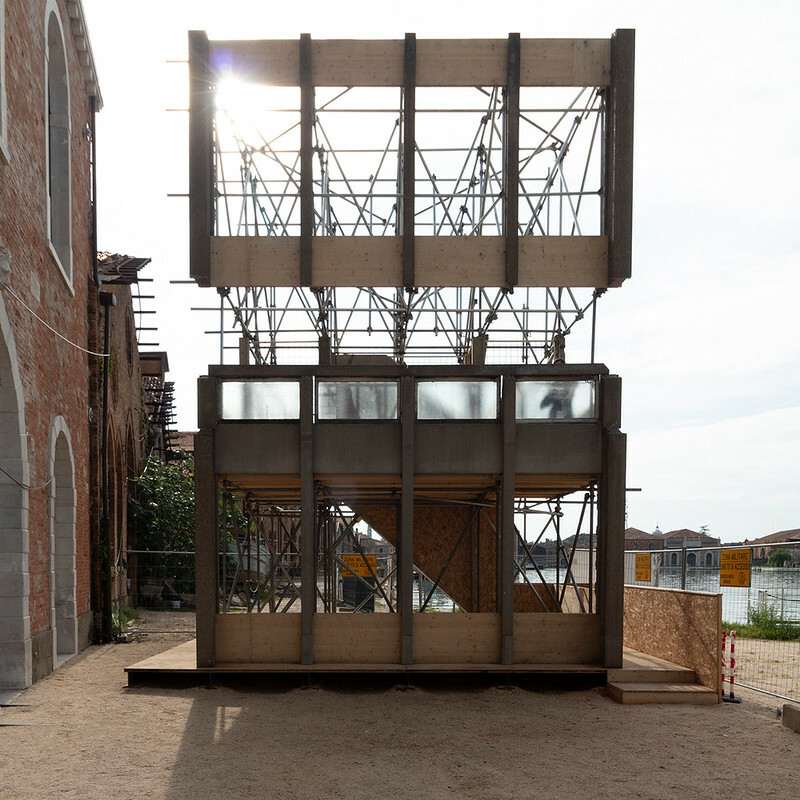 The small structures on the wooded site are a highlight of the Biennale -- not surprising given the caliber of names and the fact they are actual buildings rather than representations of them. Here and there optical illusions were found in the Biennale, but none more attention-getting than the German Pavilion, where a "wall" turned out to be a freestanding walls that only appeared solid when seen from the entrance. The design makes sense, given that Unbuilding Walls looks back to the Berlin Wall and other instances of architectural division. 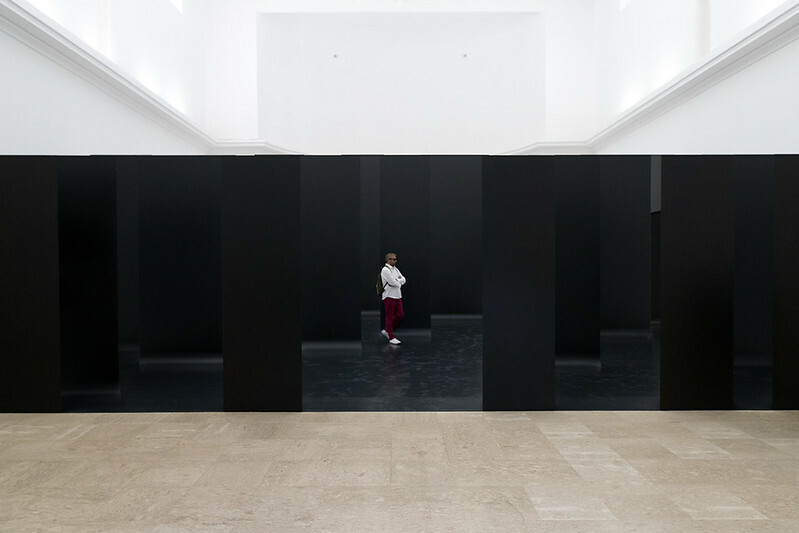 Switzerland's Golden Lion-winning exhibition, Svizzera 240: House Tour, plays around with scale -- the X, Y & Z dimensions of space. 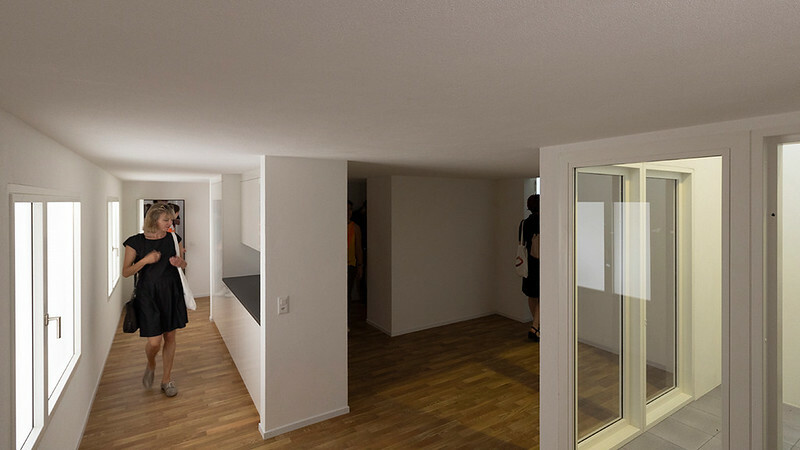 It takes generic house plans, renditions of which are presented more and more by Swiss architects doing apartment buildings, and turns them into a funhouse at a variety of scales. It's easily the funnest part of the Biennale.